Make Trevisker Garden Centre in Padstow a destination this Christmas. Ah, Christmas… magic is in the air with carols, freshly cut Christmas trees, lovely food, mulled wine, gifts and roast chestnuts – and you can experience it all at Trevisker Garden Centre, Padstow! As an independent, family run, boutique garden centre, the team grow most of their own stock on site on the rugged north coast. 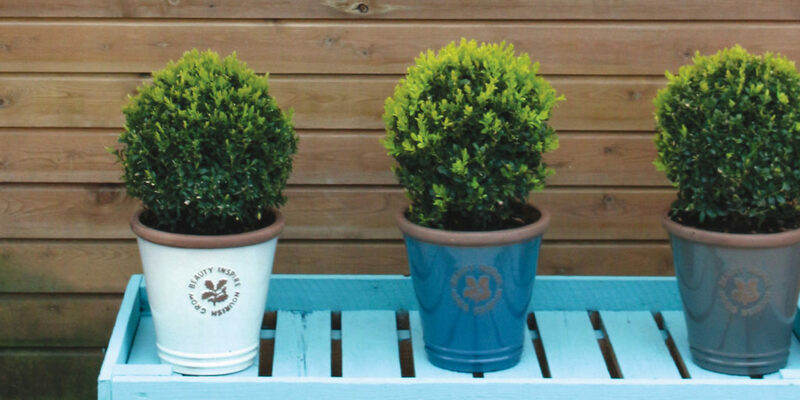 There is also a plethora of gorgeous pots and a fabulous ‘you won’t find it in any other garden centre’ gift shop. Christmas is going to be a rather sparkly affair at Trevisker. Margot’s will serve Christmas Dinner daily until 23rd December, the garden centre will be selling its locally famed Christmas trees, and you must visit the Christmas Fringe Festival, from 8th to 10th December. There will be a large craft market, storytelling for the kids, late night opening on Saturday with carols, mulled wine and guest chefs in Margot’s in the evenings. Margot’s has fast become a firm favourite, with Head Chefs Adrian Oliver and Henk de Villiers-Ferreira serving fantastic food seven days a week. 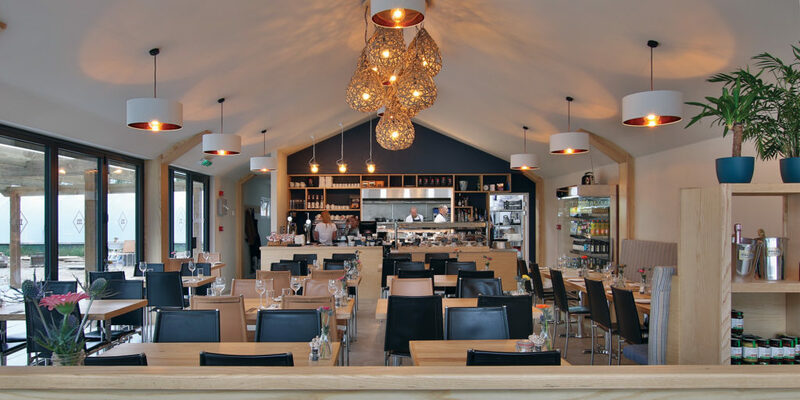 Both chefs will be demonstrating some of their dishes on stage during the Padstow Christmas Festival. Adrian will be at the Sharps Chefs Theatre Friday 8th at 11am, whilst Henk is on the Festival Stage on Saturday 9th at 11.15am. But it doesn’t stop there; Margot’s will be hosting guest chefs as part of the Padstow Christmas Fringe from 8th to 10th December. Guest chefs include Alan Bird on the Friday, whose culinary career includes a stint at The Ivy in London, as an executive chef for the Soho House group and a mentor at Jamie Oliver’s Fifteen. A tasting menu will be served on 8th December, and promises to be a true delight for the palate. Saturday’s guest chef is Russell Brown, who started out at Truro’s Alverton Manor Hotel before going on to win a coveted Michelin star at Sienna in Dorchester, the only restaurant with the honour in Dorset and the Guide’s smallest. These events are expected to be popular, so booking is a must. Dogs are very welcome at Trevisker. Paws in Padstow boasts a locally unrivalled range of products, putting the health and wellbeing of your dog at the heart of everything they do. Christmas is a great time to treat your loyal, best friend to something special. Paws in Padstow has a new range of locally-made Christmas treats, including baked turkey dinner Christmas tree biscuits, new coats for crisp wintery walks, and new bedding for those cold winter nights. Exclusive gift sets and gift cards are available, so there’s something for everyone and every breed! Christmas is a time traditionally to decorate our homes, give and receive gifts. 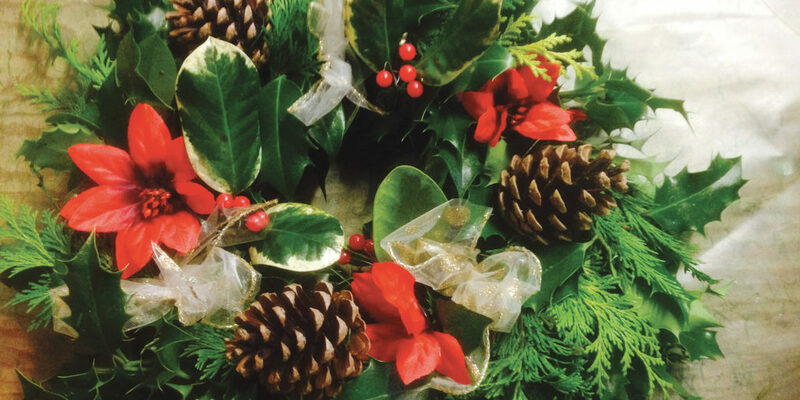 Liz and Lisa at Roses Florist can create your seasonal decorations and gifts, whether that be holly wreaths to decorate your door or to place on a loved one’s grave. Order beautiful seasonal flowers to decorate your home or stunning bouquets for delivery locally, nationally and internationally. Avoid that last minute rush by contacting Liz and Lisa now to discuss your requirements and place your order. Visit Blossom Clothing’s new shop showcasing makers that aren’t on the high street. Pop in and browse Maureen’s luxurious knits, Claude’s handmade leather bags, and designer jewellery from Julie Duggan. There are new autumn designs in seven fabulous new colours, not forgetting a bit of sparkle – new gold and silver knits will get you ready for that night out! Lotta’s clogs in leopard print gold and silver are for dancing feet, and cashmere wraps for those chilly days are now in store. Blossom’s designs are relaxed, casual and stylish for ‘real women with real curves’. If you need an outfit or a gift for someone special, take a look. 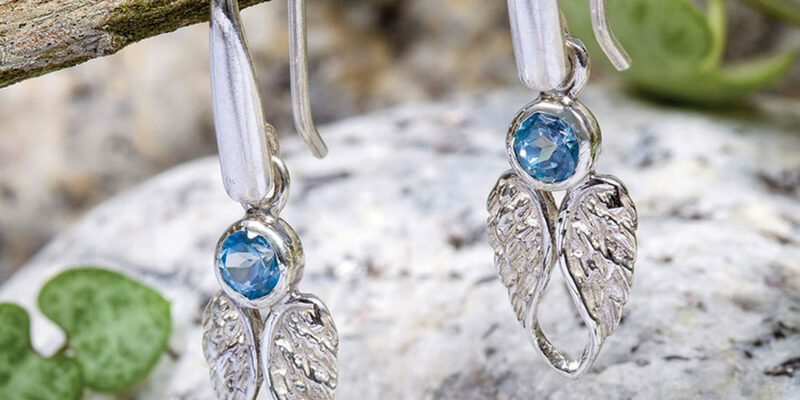 Julie Duggan has been designing for the past 30 years, with all gemstones sourced directly by Julie, who has the envious role of travelling around the world, bringing the natural colours of nature into her beautiful, high quality handmade collections, set in real silver. Her designs are constantly changing with every season, so there’s always something new to discover. This season is no different, with new delicate boho style silver rings with aquamarine and topaz, autumn and winter colours reflecting the changes in season and party sparkles for those Christmas nights out. "... carols, mulled wine and guest chefs in Margot's in the evenings."